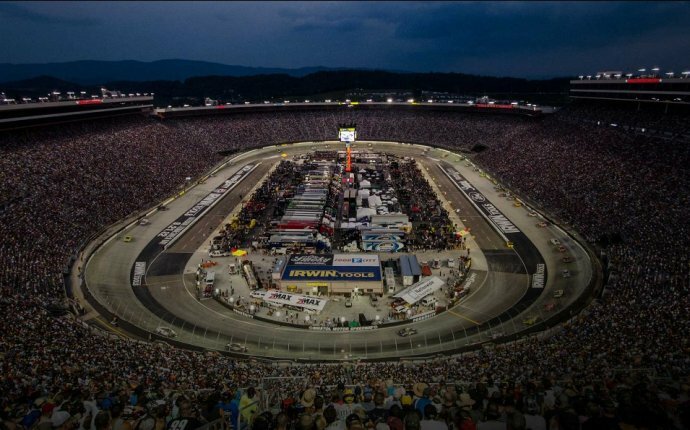 BRISTOL, Tennessee — Drivers walked out of Bristol Motor Speedway after Monday’s Cup race smiling. No fisticuffs. No frowns. No frustrations. Bristol isn’t back to what it once was — a single-groove, shove-your-mother-out-of-the-way track — and may never be, but its two-lane racing left many drivers as wide-eyed as children. The question now is did fans enjoy what they saw? Short track racing has always had its charm with a history of beating and banging followed by driver confrontations. It was here where Jimmie Johnson, of all people, stepped out of his wrecked car and flipped the bird at Robby Gordon. This also was the track where Jeff Gordon once shoved Matt Kenseth after a race. It’s moments like those why some people call for more short tracks in the series and a few still clamor for the return of North Wilkesboro. Of course, that will never happen. Never. Forget about it. Stop talking about it. Move on. Instead, is the new chapter of short track racing being set now? Might it be two-wide racing? A different tire allowed drivers to run on the outside — the outside! — at Martinsville and pass on what has always been a one-groove track that required more fender than finesse. Now comes Monday’s race, the second with the PJ1 VHT compound applied to the lower groove to add grip. The intent is to make the bottom groove the preferred line and force everyone there to create that bumping and banging to pass. It succeeded early before drivers began venturing up the track and worked in the top groove. Johnson also called the racing “fun” after earning his 82nd career Cup win. It wasn’t just those running at the front all race who had a good time. One thing drivers hate is being stuck behind a slower car. That’s what leads to contact and this is a contact sport — at least that’s what NASCAR Chairman Brian France has said. For many fans, that’s what they want to see on a short track. Still, it was hard not to be thrilled with the racing in the final 100 laps where drivers ran multiple lanes challenging for the lead or spots near the front.